We have reached the halfway stage at the I.I.I 2018 Summer Camp. The first three weeks seem to have flown by. This week’s account starts with 2 excursions held simultaneously during the weekend. 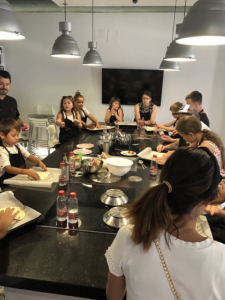 Our under 8 participants put their cooking skills to the test at the Food Room, where they learnt to make pizzas and tiramisu- everyone’s favourite Italian dishes. It was great to see them use and play with the different ingredients and we hope they can surprise mum and dad at home with what they have learnt. 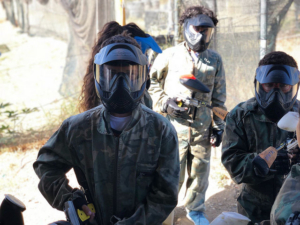 For a more lively activity the older members of the Summer Camp chose to spend their Saturday morning at the Paintball. They were dressed in proper military gear and armed with coloured paintballs; It was great fun and they ended up getting paint all over their clothes. 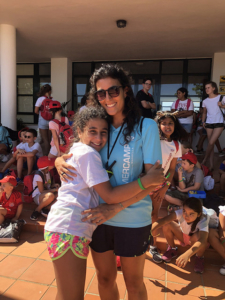 This week we are offering the account of events from a different perspective: Marta, our Primary Spanish teacher talks about her own experience at the Summer Camp. How would you describe the Summer Camp in just a few words? ” I believe what makes it unique is how it offers each and every child everything they need: the way the activities are structured and specifically designed for each age group, the morning lessons with which we start the day, and the opportunity for the children to be constantly socializing among themselves all constitute a balance that will eventually help to achieve the desired results . Thanks to Marta’s description of her own experience we have a different viewpoint of the I.I.I Summer Camp.